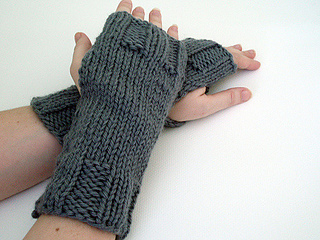 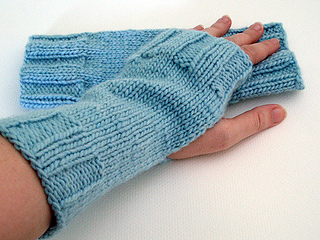 Based on the fingerless mitts Alice Cullen wears in The Twilight Saga: New Moon movie. 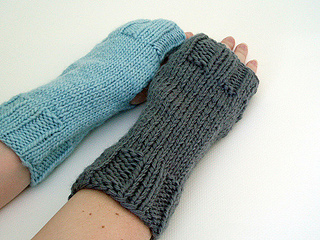 The mitts are knit in bulky yarn, but I’m offering two versions of the pattern, one in bulky and one in worsted. 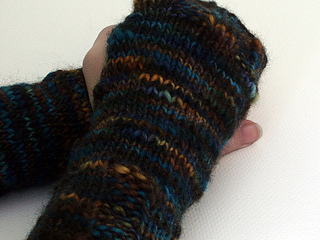 The more accurate, bulky version is 4 stitches per inch on US 9, in Malabrigo Yarn Chunky. 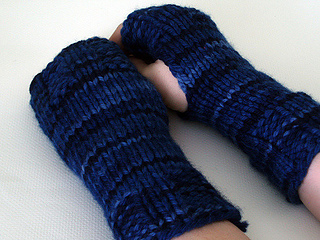 The worsted version is knit at 5 stitches per inch on US 8, in Malabrigo Yarn Merino Worsted.